France and Britain both wanted western land and land in western New York. Britain started trading with Native Americans on French land. This angered the French because they wanted to control trade in their territory. France and Britain went to war over this land. Britain started to attack French land as far away as Asia. They also blockaded the coast so France could not get supplies. Britain won the war and both sides signed the Treaty of Paris. Britain now controlled all the land. 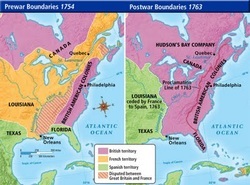 The French had to leave North America and the Native Americans were forced to move west. 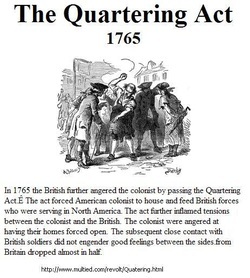 In order to fund this war, Britain made the colonists pay taxes. They did not want to pay for the war and they had no representation in the English government. This angered the colonists. 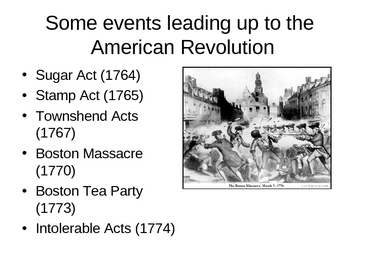 They had taxation without representation. A 3 cent tax on sugar and taxes on coffee, indigo and wine. The taxes where enacted without the consent of the colonists. 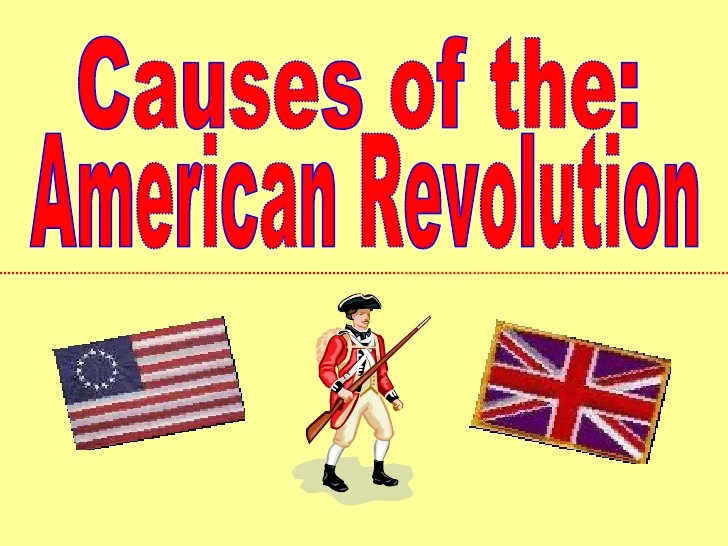 Colonists were angry and began protesting and sneaking good into the colonies. This law required colonists to pay a tax on all printed material (newspapers, magazines, and playing cards). All of these material were required to have a stamp on them to show that the tax had been paid. The colonists were very angry and began to boycott. Some colonists burned the stamps in the streets. The colonists sent representatives to NY for a special meeting called The Stamp Act Congress. They voted that Parliament did not have the right to pass taxes on the colonies. "No taxation without representation!" The British Parliament repealed the stamp act in 1766.